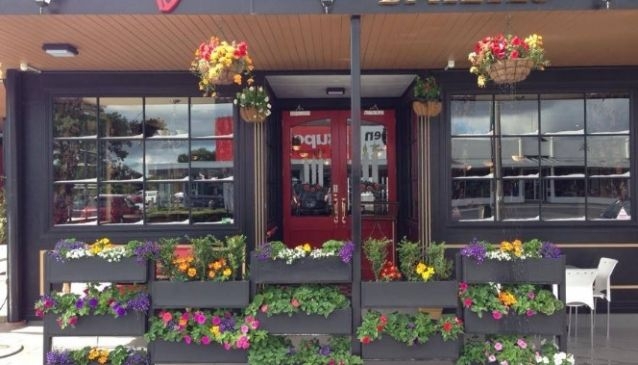 An institution in Christchurch, Bailies Bar and Restaurant relocated from its city centre spot following the 2011 earthquakes and can now be found in the Edgeware Village on the corner of Edgeware Road and Colombo Street. The bar is open for brunch, lunch, and dinner and is popular with locals and tourists alike. It is run by husband and wife Stan and Lynne O'Keefe and the atmosphere is relaxed and friendly. The main menu has a wide range of well-priced meals including fish and chip, steak, souvlaki and Cajun chicken. The breakfast menu has both cooked and continental options. A selection of wine and beer is available as well as soft drinks.